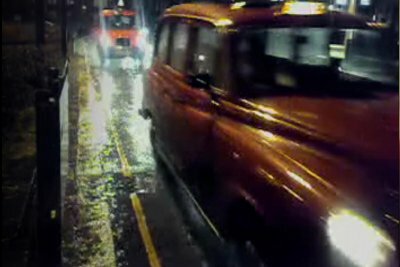 The film, shot entirely on a mobile phone camera, evolved from three protagonists filmed on London’s streets : Sandrine, an attractive young woman from Brazil on a mission to find a husband, Steve, a seasoned beggar, whose life is a continuous struggle with drug addiction and Precious, a poet who became Steve’s girlfriend. The filmmaker mostly remains off-screen while he struggles to determine his own role between observer and participant. Questions arise. Questions about the relationship between filmed and filmmaker and about real and imagined realities. There is a paradoxical sense of failure : the closer he gets to his subjects, the more the obstruction of his camera seemed to distance him from them. Yet ultimately, and perhaps unexpectedly, People... reveals a personal, humane and fragile space that only came into existence precisely because it had been filmed. Meanwhile, Steve drinks to numb the pain of loneliness.